A summer cannot be a summer without mosquitos in Japan. Due to the high humidity, it is an optimum place for mosquitos to live and survive. If you are from countries where there are less mosquitos, you might be shocked at the shear amount of mosquitos we have here. These days, people tend to be sensitive about mosquitos due to the diseases brought by them, and you cannot underestimate their danger. 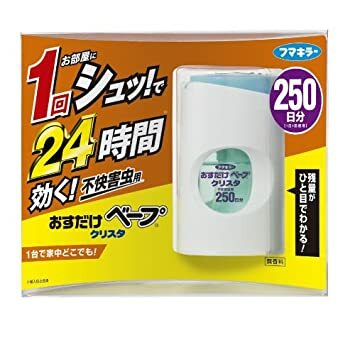 This article suggests to you the five best products to protect yourself from troublesome mosquitos’ attacks as well as how to use them and what you need to be careful of in order to enjoy summer in Japan, stress free from mosquito’s. Bug spray is likely to be the first thing you might use when trying to avoid mosquitos’ attacks. There are many types of bug sprays in Japan such as kids-friendly ones, aroma-based ones, organic ones, etc. Even though you are an adult, if you have sensitive skin or some kinds of allergy, you need to be careful when choosing bug spray. Those which are designed for babies and kids have less damage than strong ones. If you have people who speak or read Japanese around you, it would be nice to ask them to see what kind of bug sprays they use or would recommend. Comparing to the normal bug sprays introduced above, aroma-based sprays and organic ones have less components which tend to cause trouble to your skin. Aroma ones obviously smell good. If you are not good with the smell of typical bug sprays, aromas would help you to overcome such difficulties. Organic ones fit for those who value organic goods in many areas such as food. Bug Sprays are the easiest way to protect yourself from mosquitos. Finding your favorite and the one that suits you best really helps you to survive summer in Japan. Whichever type of bug spray you use, you always need to pay attention not to harm your eyes with the sprays. Another negative aspect of bug sprays is that you cannot bring them to international flights since they are regarded as sprays/liquids. Even if you really like them, do not try to take them back to your home countries. Katori-Senko has been used for a long time in Japan. It is a traditional way dealing with mosquitos’ issues. When doing outside activities, katori-senko works well once you light it. With a very small amount of smoke, as shown in the photo, it keeps mosquitos away. Summer has many occasions where you stay outside such as BBQ, fireworks etc. Having katori-senko protects not only you but also the people around you. When using this, make sure that no one touches the edge! 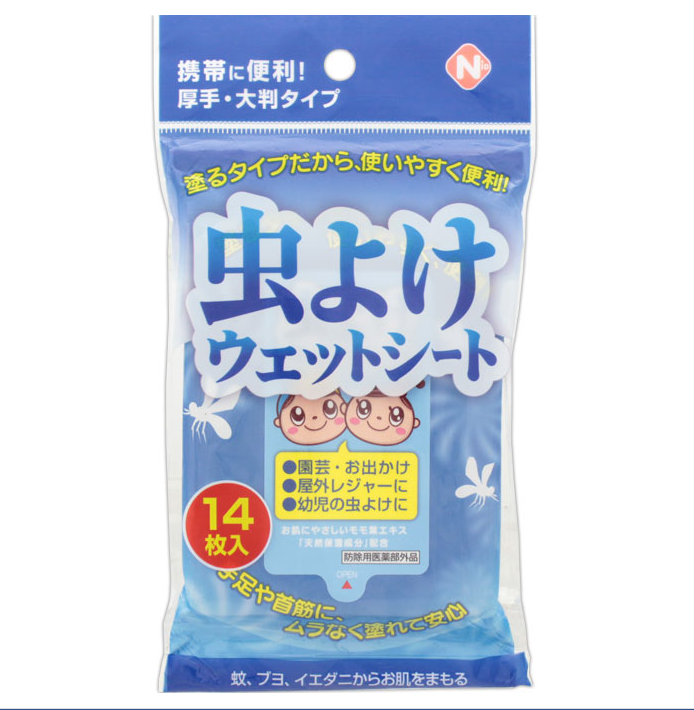 A Japanese company, Fumakilla Limited, has released many insecticide goods. 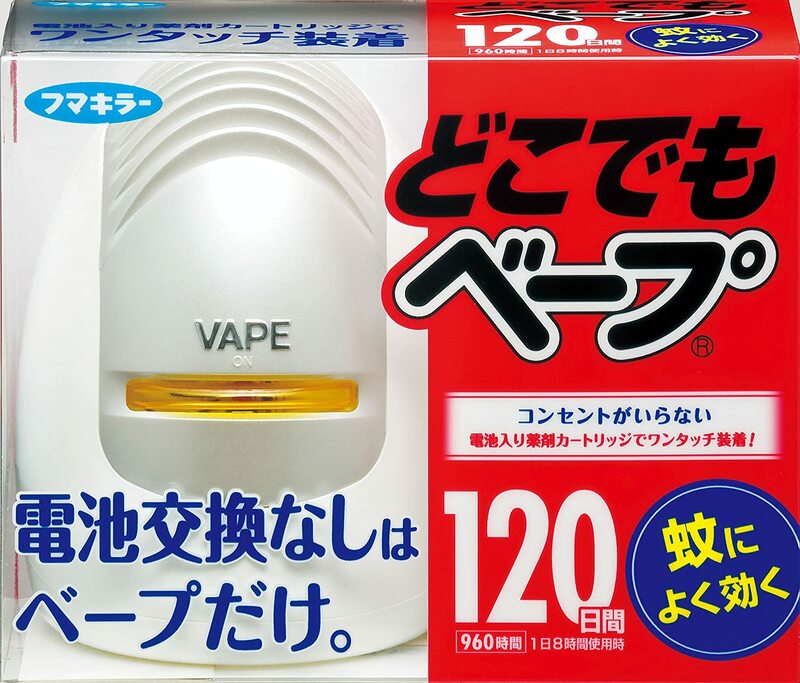 One of the most popular goods is “Vape Series”. The one above is a type which you only have to push. Once you push, the effect lasts for certain amount of time as described on the package. It prevents mosquitos from getting into your room. Be careful not to directly push it into your eyes! This one is even easier to use. You do not have to do anything but just put it where you do not want to have mosquitos. It does not require consent as it works with batteries. You can use it both outside and inside buildings. 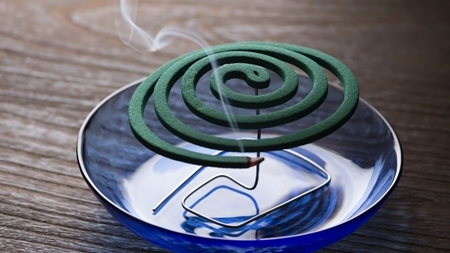 There is nothing you should be particularly careful as in cases of bag sprays and mosquito coils. This article just introduced only two of the vape series but there are more goods the company sells. You can get them in drug stores, home centers etc. and find what you need depending on your needs. Insect repellent sheets look like wet wipes. These are also very convenient to carry around. How to use this is simple as well. You just wipe your body parts where you do not want to get mosquito bites with the sheets. There are both odorless ones and fragrance ones and you can choose as you wish. 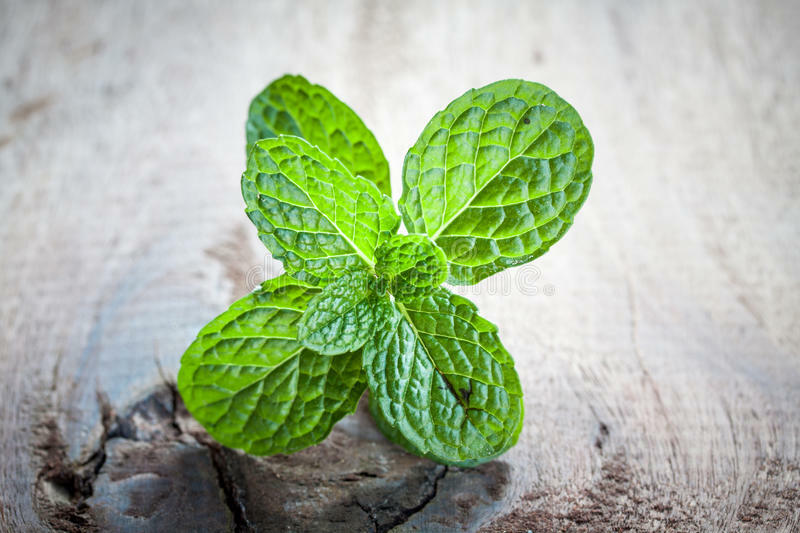 Herbs are said to be good at keeping mosquitos away. Especially those which are categorized as paper mints have great power as insect repellent. If your room has a veranda, you can grow paper mints while protecting yourself from mosquitos. What is more, you can use paper mints for cooking or to use in tea! Thyme also works in the same way as paper mints. It is very easy to plant and there are many ways to be used in cooking. Having herbs is not only good for insect repellent but also making your life surrounded by green and change your cooking life a little bit. Whether your stay in Japan is short or long, if you want to enjoy summer in Japan, you need counterplans against mosquitos. They bring diseases such as Ebola fever as well as itchiness of skin. Let’s have mosquito-less summer in Japan with those goods above.